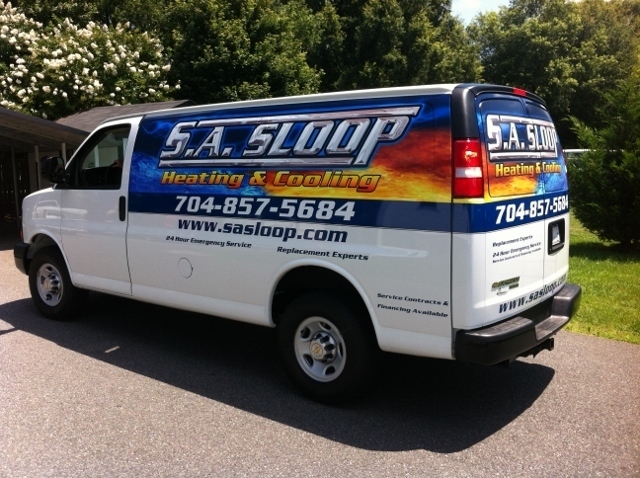 S.A. Sloop Heating & Air Conditioning, Inc. is your source for indoor and energy savings solutions. Stanley and Brenda Sloop are the co-founders and owners of the company, which was founded in 1997. We're proud to be a locally owned business and supporter of the community. Some of the areas we support are: Breast cancer awareness, Habitat for Humanity, local school ball teams, CVAN, National Guard, Character Development for Young People, MADD, Rowan Helping Ministries, Disabled Veterans, and local churches. Our company motto is: "Built on Integrity". This motto was developed and remains our focus as we strive to treat our customers as we would like to be treated. We work hard to exceed expectations to retain customers and gain customers. The staff of S.A. Sloop Htg. & A/C, Inc. consists of trained personnel from the installation, service techs, sales, and the office. Our clean-cut, courteous, and uniformed technicians are on call for 24 hours per day. We use the latest technology in our business to improve efficiency and better serve the customers' needs. Our company is licensed, bonded, and insured. We are considered an accredited business with the Better Business Bureau and have an A+ rating with them. your heating and air equipment?